Is it just me or is the seasonal drinks at Starbucks Malaysia becoming boring? 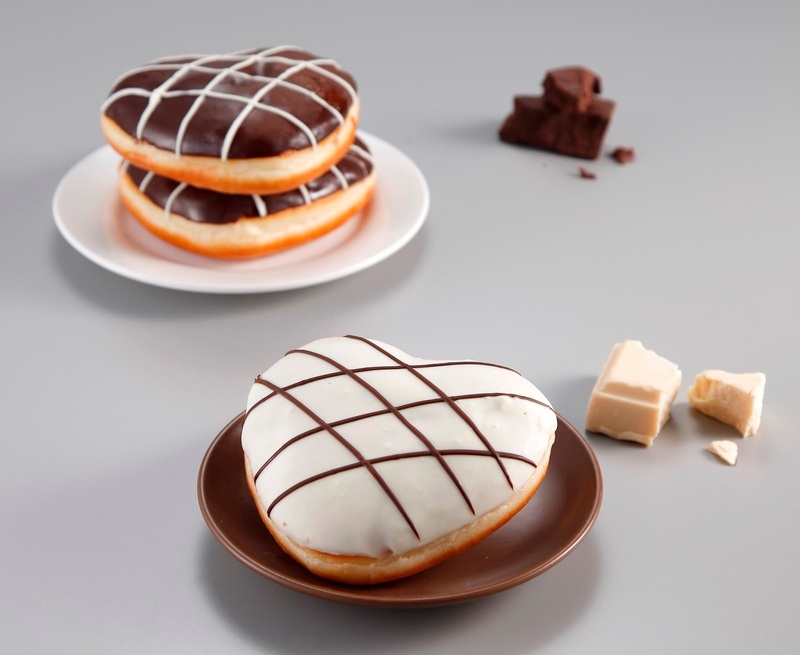 While Starbucks Japan has also introduced an interesting version of the mocha for the chocoholics for Valentine's Day, Starbucks Malaysia has instead brought back a "returning favourite" - Chocolate Black Tea with Earl Grey Jelly Frappuccino. I remember a time when Starbucks Malaysia were more creative with their drinks and food. 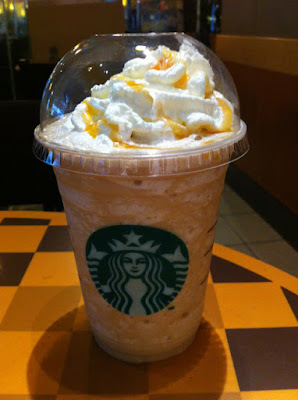 Once upon a time, for Chinese New Year 2012, they introduced the Valencia Frappucino which uses sweet Valencia orange syrup. Now, that drink was delicious. Hot or cold, it worked. (I know they reintroduced a similar drink in June 2017 - Mocha Valencia but that drink was just bad due to the mix of coffee, chocolate and orange). 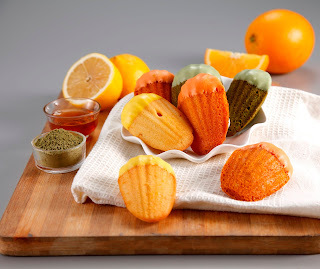 I also recall a delicious Zest muffin with orange and cranberry inside - delectable. I miss those days when the R&D team was actually innovative with their offerings. Another drink from Starbucks I sore missed was their White Chocolate Cranberry Frappucino for Christmas. And despite numerous demands from fans, why have Starbucks yet to bring over the Pumpkin Spiced Latte? Anyway, enough from me - back to their new Starbucks Chocolate Black Tea with Earl Grey Jelly Frappuccino - described as "A flavorful beverage that is a combination of aromatic Earl Grey Jelly and Chocolate Black Tea. 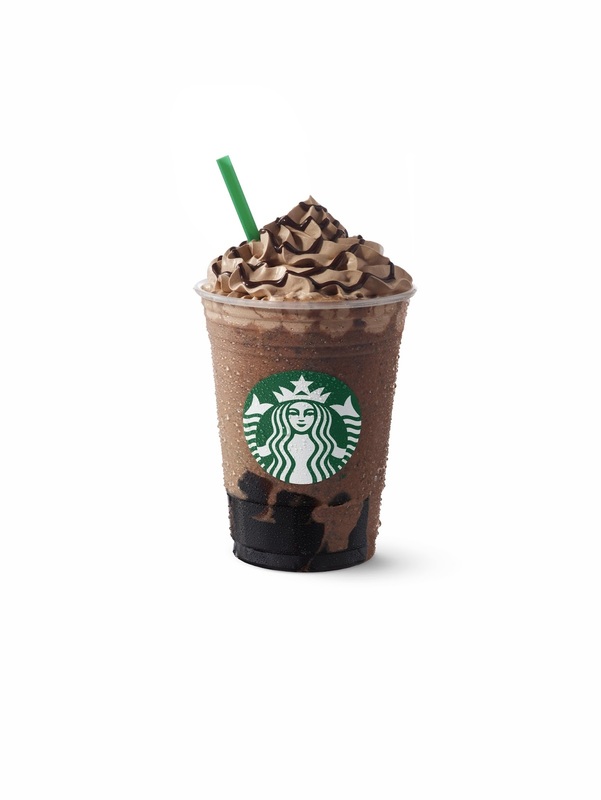 This Chocolate Black Tea with Earl Grey Jelly Frappuccino® is a lusciously smooth and decadent beverage blended with Java Chips for an extra chocolatey texture and topped with seasonal chocolate whipped cream and mocha drizzle." 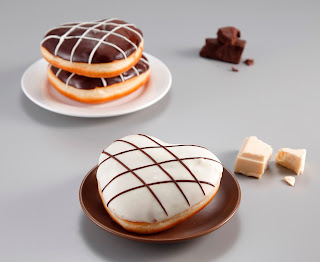 Starbucks’ dessert treats consisting of Chocolate Heart Doughnut (Dark Chocolate and White Chocolate) and Madeleine (Orange Honey, Lemon and Green Tea) are also a perfect indulgence for everyone to reconnect with those who are important in life. The Starbucks Chocolate Black Tea with Earl Grey Jelly Frappuccino® will be only available from 7 – 14 February 2018 and is priced at RM18.50 onwards.